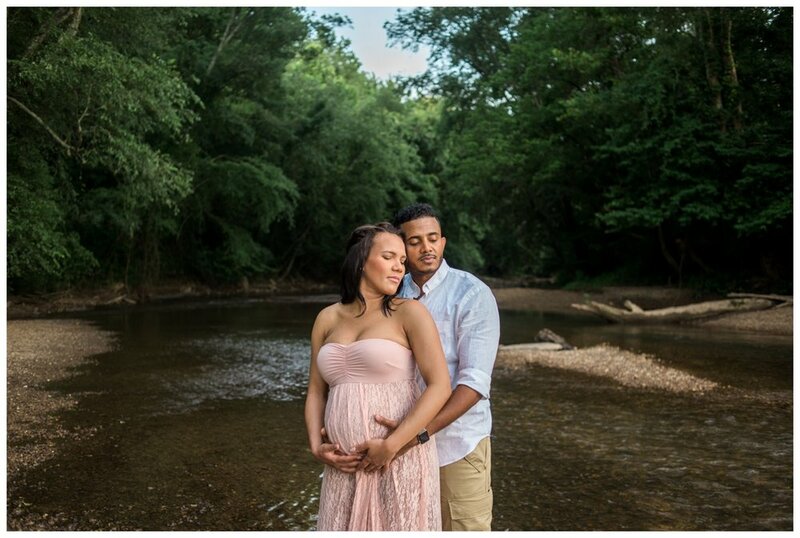 I absolutely love that over time, maternity photography has evolved into something so beautiful. 20 years ago, you would never see an expectant mom going to a creek to take pictures of her almost 9 month old baby belly. Women have embraced the beauty of this time of their pregnancy and want to capture it all and I love it! Especially since it has moved away from the "cheesy glamour studio" style and more into natural poses and backgrounds. Maternity photography has become one of my, surprisingly, favorite photoshoots to do these days! I don't know if it's because there have been some really awful photoshoots floating around the internet that fuel my fire; or I just feel a weird responsibility to redeem this style of photography. 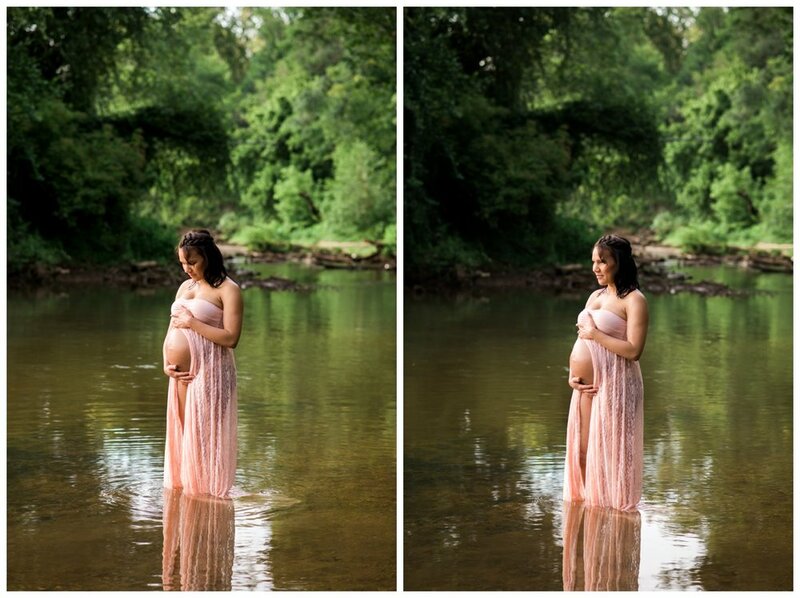 Either way, here are some of my favorite shots from Jasmin's maternity shoot. Yes, we really were at a river! And it was a photographers dream! At the river there were a few people walking their dogs and this HUGE dog was so sweet and wanted in on the photoshoot. Totally hilarious! Jasmin was glowing! I know she probably didn't feel like it, but she was radiant! Just gorgeous! Have an idea for a photoshoot? Send me a message here. Would love to hear from you!